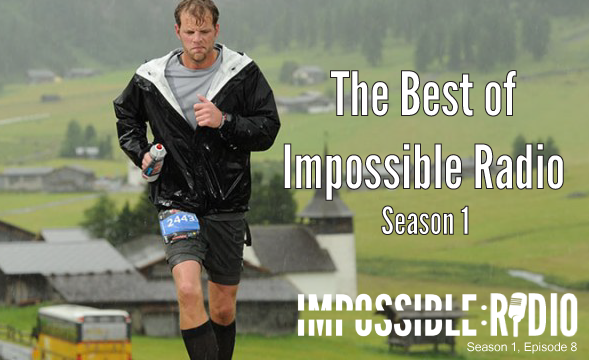 This is the last episode for the first season of Impossible Radio, and it’s been a truly amazing season so far. From amazing guests, like Kyle Maynard, Bobby Maximus, and Command Master Chief Paul Tharp, to a few solo rounds, I’ve really taken time to dive deep into what resilience is, why it’s necessary, and most importantly, how you and I can strengthen our resilience and “grit-ness”. It’s not an easy thing. When life get’s tough, it’s a lot easier to give up and throw in the towel. It’s easy to take the path that most everyone else takes. But if you want to create a life that really matters, and get yourself to a whole new level, chances are that hard thing that you’re afraid of is exactly the thing you need to do. Easy doesn’t help you or me learn, grow, or become who we want to be. You’ve got to push through some really uncomfortable things to get where you want to go. So for this final episode of the season, I’ll recap some of the best moments so far–moments that really help to understand the roots of resilience, the ultimate power it can play for you and for me, and how to actually apply it so that it starts making a measurable difference. Even if you’ve listened to every episode so far, this is still something you’ll definitely want to hear. When to know if you should throw in the towel and quit. Thanks for listening to the last episode of this season of Impossible Radio: Resilience. Please share the episode on social media using the buttons at the top and bottom of the post. Leave a review for Impossible Radio on iTunes. Ratings and reviews are essential, especially for a new show like Impossible Radio. And of course, they’re incredibly appreciated! Remember to subscribe to the show so you get automatic updates when each new episode (and soon new season) launch. Until next time, go out and do something Impossible! Thank you for producing this series. It came at a time in my life where I’ve taken on something that feels impossible. Your words, and the words of those you interviewed, have provided a ton of encouragement at just the right time. I look forward to more great things from your site.